Songwriter, producer and rapper, Missy Elliott has just been announced as one of the nominees for the 2019 Songwriters Hall of Fame. 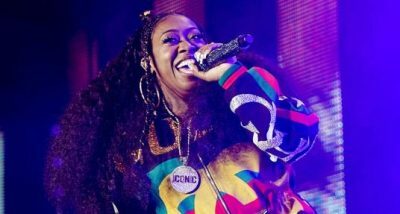 Missy Elliott who has written for the likes of Beyonce, Janet Jackson, Mary J. Blige, Destiny’s Child, Fantasia, Jazmine Sullivan, Whitney Houston, is the first female rapper nominated for the prestigious prize. According to Variety, joining the rapper as performing nominees are Mariah Carey, Chrissie Hynde, Vince Gill, Mike Love, Jimmy Cliff, Jeff Lynne, Cat Stevens, John Prine, Lloyd Price and more. On June 13, 2019, six songwriters, or songwriting groups, will be officially inducted at the Hall’s 50th annual Induction & Awards Gala in New York. Songwriters are eligible for induction after writing hit songs for at least 20 years.